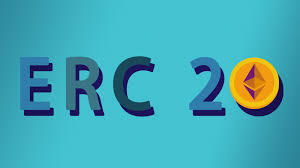 Details for newbies about ERC-20, Before i further the article What does ERC stands for incase you dont know ERC means "Ethereum Request for Comment" which was Developed in 2015, ERC defines a common list of rules that an Ethereum token has to implement, giving developers the zeal to program how new tokens will work within the Ethereum ecosystem. This protocol became more popular with the crowdfunding companies that works with ICOs. For the main purpose of raising funds users have chosen to make use of Initial Coin Offerings, which is now the most popular way of raising funds while avoiding the redulatory restrictions of fiat financing, In the year 2017, ICOs raised around $6.5 billions. Arriving to this year 2018 they have already raised the sum of $2 billion, almost all ICOs focus on Ethereum as a platform and more specifically on the Ethereum smart contracts. The selling of shares in ICO projects are mostly sold for Ethereum or Bitcoin and rewarded in the form of tokens also knowns ERC-20 tokens. Newbies on Ethereum are been recommended to make use of MyEtherWallet.com to monitor and manage ICO tokens. 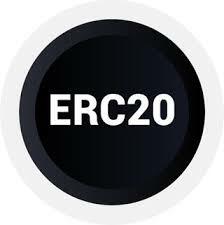 ERC-20 Autorise Developer: In this motive this token ERC-20 works to help developers of all kind to know or predict how some new tokens will work out within the larger Ethereum system. So the use for ERC-20 is crucial on developers, as project do not need to be carried out multiple times anytime new token is released. Rather, They are designed to be compacted with new tokens, as long as those tokens comply with the rules. 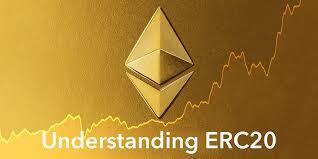 Which means that most tokens released through Ethereum Initial Coin Offerings are ERC-20 compliant. Before the existence of ERC-20 standards they have been many issues in the midst of various forms of Ethereum tokens. Each token had a totally different smart contract of its own. In more details it had to perform a task of writing completely a new code for each exchange or wallet, in order to host a new token. and keeping up with the increasing array of tokens was becoming very problematic and time consuming. To solve the problem, the industry brought out the standard protocol for all tokens to follow, Which is now known as ERC-20. The totalSupply function of the token must be set. After the maximum is reached, no more tokens may be created by the smart contract. The balance0f function assigns an initial number of tokens to any given address, usually the owners of the ICO. The transfer function moves tokens from the total supply to any individual user who purchase during the ICO phase. The transferFrom function is used to send tokens from one person to another. The approve function checks that a smart contract can distribute tokens, based on the remaining supply. Lastly, the allowance function makes sure that an address has enough of a balance to send tokens to another address. These 6 simple steps have allowed wallet providers and exchanges to create a single codebase, which can interact with any ERC-20 smart contract. 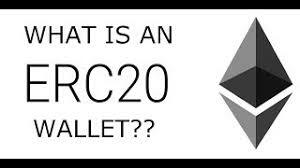 they are several uses of ERC-20 tokens For instance, they can act as project shares, asset-ownership certificates, loyalty points, or even just pure cryptocurrencies. It’s also possible for ERC-20 tokens to simultaneously fulfill several of these roles. Who Can Build ERC-20 tokens? 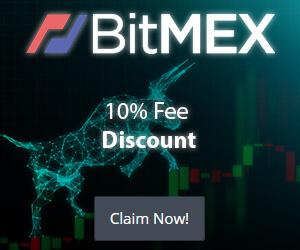 Anybody from the teams that focus on the revolutionary projects to scammers who are to pull a confido-crypto's most recent exit scam on the space. For the sake that Ethereum and ERC-20 tokens standard are free for everyone to use. But that's based on its accessibility, which means that anyone can access the tools and resources needed to create a token. Further more, getting hold of the technical skills needed to program a token is a totally different thing, to acquire this you will have to get a technical competency in Ethereum smart contracts and their associated programming language, solidity. Getting to that extent, only very few people in the world can interact with and at same time code on the ERC-20 standard as it stands now, simply because crypto space is still young and solidity is still relatively unknown. But then its certainly possible to learn Solidity, They are already larger numbers of programmers comfortable with the language, and surely the numbers will continue to increase as the day goes ahead, Perhaps some days so many will be able to make or create their own ERC-20 tokens. 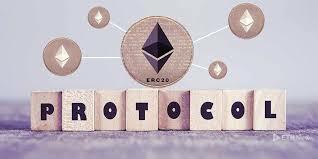 The protocols of ERC-20 is not always sufficient for the token's purposes. It's only a standard for developing an Ethereum-based tokens, and they is no guarantee for valuable, useful or functional tokens. They may be a room for further customization of a token as long as it meets the basics of ERC-20. One major problem of the ERC-20 standards is that it takes an effective action towards a token trivial on a technical level. As the case may be, many groups who would have been unable of releasing an ICO can be able to do so now. The sheer number of deployed tokens (47,454 and counting!) leads to an abundance of very similar tokens, which enables the selection process to be harder and more complicated for prospective investors. Another problem is that some projects implement the guidelines in a distinctive way which creates more confusion about the way their tokens operate. For example, tokens are sometimes sent to the smart contracts of other ICOs. If that contract hasn’t allowed for this eventuality, then the tokens will be lost. By the end of 2017, over $3 million was lost this way! The ERC-223 proposal seeks to counter this flaw. The implementation of the ERC-20 Tokens standards has accelerated growth along the whole ICO space by standardizing features thats makes it easier for the projects to develop tokens. The protocols has also brought a far better synergy among ICO projects, exchanges, and wallet providers and more. As a response to common problems and vulnerabilities in ICO tokens, the ERC-20 protocol will probably be enhanced and extended in the future.